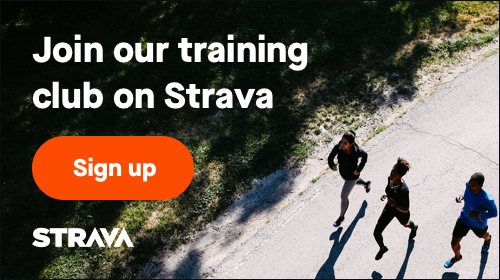 January 1, 2019, 12:00am PST July 31, 2019, 11:59pm PDT $45	$34.00 Race Fee + $3.00 SignUp Fee ? August 1, 2019, 12:00am PDT August 31, 2019, 11:59pm PDT $45	$36.00 Race Fee + $3.00 SignUp Fee ? September 1, 2019, 12:00am PDT September 30, 2019, 11:59pm PDT $45	$38.00 Race Fee + $3.00 SignUp Fee ? October 1, 2019, 12:00am PDT October 31, 2019, 11:59pm PDT $45	$40.00 Race Fee + $3.00 SignUp Fee ? November 1, 2019, 12:00am PDT November 16, 2019, 11:59pm PST $45	$42.00 Race Fee + $3.00 SignUp Fee ? November 17, 2019, 12:00am PST November 17, 2019, 11:59pm PST $45.00 Race Fee + $3.00 SignUp Fee ? January 1, 2019, 12:00am PST August 31, 2019, 11:59pm PDT $40	$30.00 Race Fee + $2.50 SignUp Fee ? September 1, 2019, 12:00am PDT September 30, 2019, 11:59pm PDT $40	$32.00 Race Fee + $3.00 SignUp Fee ? October 1, 2019, 12:00am PDT October 31, 2019, 11:59pm PDT $40	$34.00 Race Fee + $3.00 SignUp Fee ? November 1, 2019, 12:00am PDT November 16, 2019, 11:59pm PST $40	$35.00 Race Fee + $3.00 SignUp Fee ? November 17, 2019, 12:00am PST November 17, 2019, 11:59pm PST $40.00 Race Fee + $3.00 SignUp Fee ? January 1, 2019, 12:00am PST August 31, 2019, 11:59pm PDT $65	$48.00 Race Fee + $3.00 SignUp Fee ? September 1, 2019, 12:00am PDT September 30, 2019, 11:59pm PDT $65	$50.00 Race Fee + $3.00 SignUp Fee ? October 1, 2019, 12:00am PDT October 31, 2019, 11:59pm PDT $65	$60.00 Race Fee + $3.60 SignUp Fee ? November 1, 2019, 12:00am PDT November 16, 2019, 11:59pm PST $65	$62.00 Race Fee + $3.72 SignUp Fee ? November 17, 2019, 12:00am PST November 17, 2019, 11:59pm PST $65.00 Race Fee + $3.90 SignUp Fee ?